Definition - What does Unsupported Shoulder Stand Pose mean? Unsupported shoulder stand pose is a challenging inversion and balancing posture that increases focus and relieves stress. From a supine position, the legs and hips are raised until they are perpendicular to the ground and the body weight rests on the shoulders, neck and upper arms with the hands supporting the hips in shoulder stand. To move into unsupported shoulder stand, the arms are raised alongside the body with the fingertips pointing upward and the fingers spread. 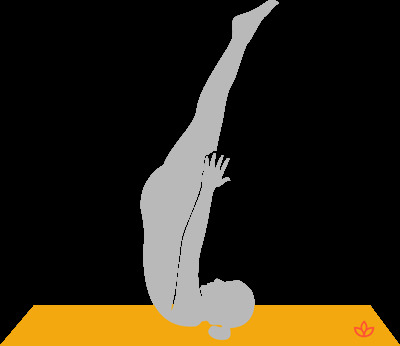 In Sanskrit, unsupported shoulder stand pose is called niralamba sarvangasana. Yogis who suffer from neck, back or shoulder injuries, who have high blood pressure or who have glaucoma should skip unsupported shoulder stand pose. Pregnant yoginis should also avoid this inversion.